Print the lion template out. Color it. Cut it out. Glue it on construction paper. 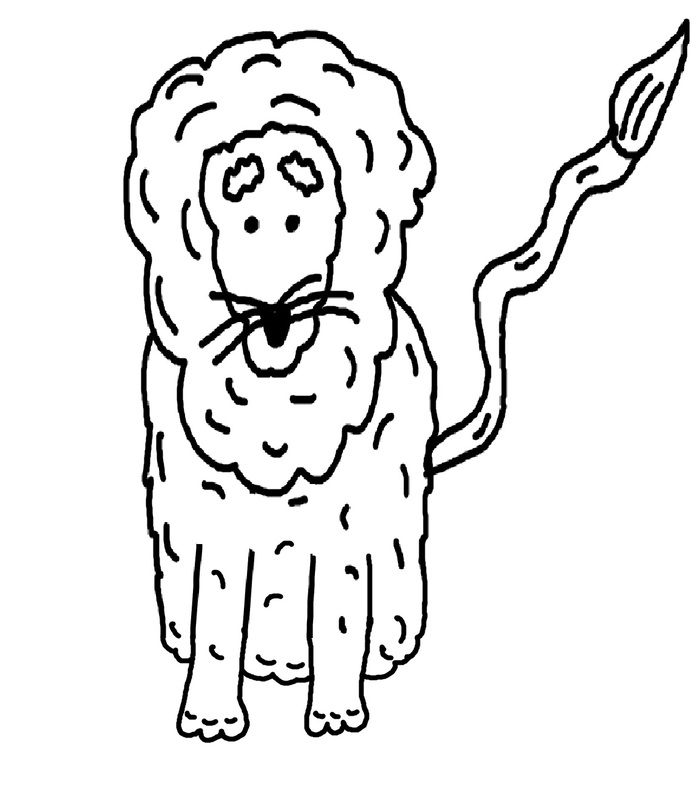 Glue cut pieces of yarn on lion. Our Take On It: We thought this project turned out nice. The yarn kept them busy trying to cut it up. You can also use special scissors that actually cut a design when you cut. We just used plain scissors on this one.